40 Years of Exceptional Courier Service! Medex Courier Service of Windsor provides fast, efficient and secure delivery of your priority packages and documents anywhere in Southwestern Ontario / Detroit. Choose from overnight, same day, rush, and expedited delivery to Windsor, London, Toronto, Detroit, and all of Essex County quickly and without worry. 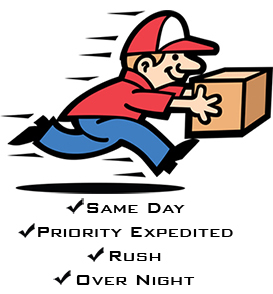 Since 1976 businesses have relied on Medex Courier Service to move packages in a timely manner. From legal documents to financial papers to medical packages, we’re available 24/7 to help you. You can trust our decades of experience handling your legal documents. As a legal courier, you can count on our professionalism, discretion, and reliability in handling documents of a sensitive nature. We are proud to offer specialized courier services tailored to the needs of lawyers and their assistants in the Windsor, Essex County, and Detroit area. We understand the nature and importance of timely delivery of medical documentation whether we are handling specimens, supplies, or reports. We respect the confidentiality and urgency of your packages. 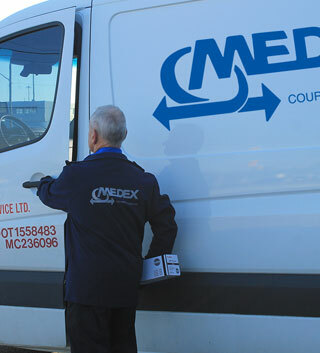 Medex Courier Service provides trained professional drivers to handle all your time critical medical deliveries. Your financial documentation must be handled with professionalism and security in mind. You can count on our financial courier services to deliver your paperwork or packages on time and into the right hands without any worries. Our financial courier services include accountants, financial institutions, insurance agencies, real estate offices, and many others. Need customized delivery service. Medex Courier can customize just about anything including pricing to meet your delivery requirements. Call us to discuss your unique medical, financial and legal distribution needs. We provide warehousing for drop shipments in Dearborn Michigan. We maintain an easy-to-understand system that is friendly and efficient. Our trained and knowledgeable drivers are bonded and insured. Contact us for any questions about your deliveries.